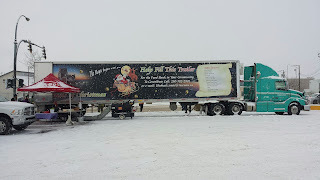 18 Wheels of Christmas: 18 Wheels Dawson Creek, More Successful than ever ! 18 Wheels Dawson Creek, More Successful than ever ! Our 18 Wheels Of Christmas Event in Dawson Creek wrapped up on November 19th with our most successful year ever! 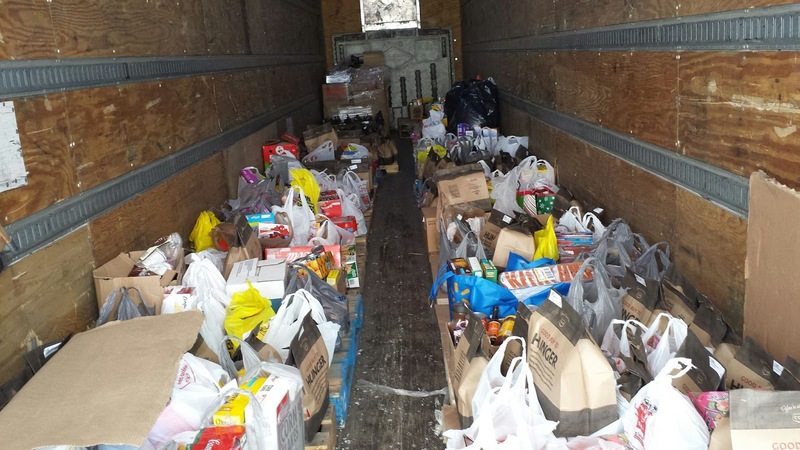 The two day event hosted by United Way brought in a total of 18 pallets of food and 4 skids of brand new quality toys as well as over $3,000 in cash donations! No event on this scale can ever be successful without the support of the community and our partners! 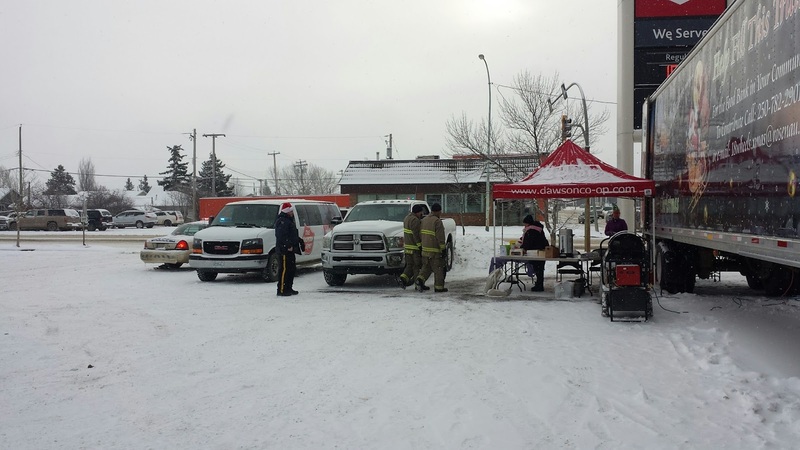 This year saw our local Dawson Creek Fire Department out in force as well as the Dawson Creek RCMP, Cat Rentals, United Way staff, Salvation Army volunteers and of course The Dawson Creek Co-Op. A huge helping hand this year from the local area banks as well. North Peace Credit Union, Bank Of Montreal, Royal Bank, TD Canada Trust, South Peace Credit Union and Scotia Bank took part with volunteers as well as activities in their bank branches. Many of the branches sold coupons for pre-packaged food bags! 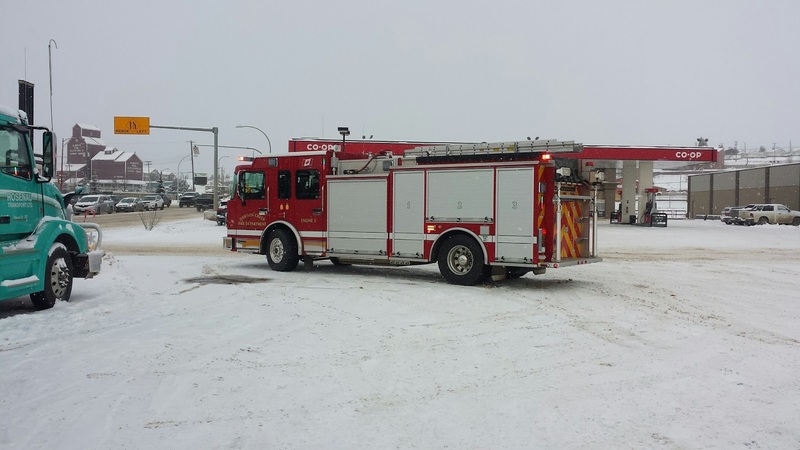 Our Mayor Bumstead even came out and braved the cold for a few hours, waving in the traffic. As always, our Local Rosenau Staff came out in force! From Santa Claus (aka Blaine M) or Karen G who spent hours out on the street keeping the enthusiasm going or Rachel R who put in dozens of hours handing out flyers, decorating and contributing her time. We had many other staff members come out and help. A very special thanks to Karen B of Rosenau Transport and Emily G of United Way for the countless hours you both put into this event. Most importantly, we thank the public. Without you and your generosity, these events could not happen, and lives cannot be changed. From the bottom of our hearts, on behalf of United Way, Dawson Creek Co-Op and Rosenau Transport, Thank You! What is 18 Wheels of Christmas? 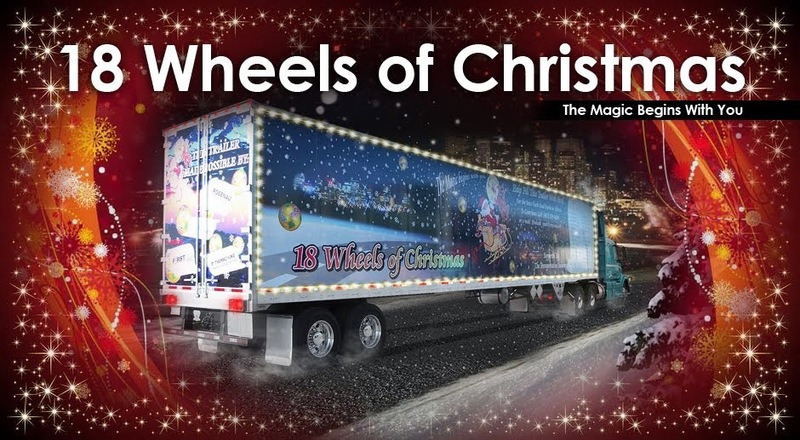 18 Wheels Of Christmas was conceived in 2002. It was created to give the Global Transportation Community, a way to give something back to the communities in which they live and work. The concept, though simple, has far reaching effects for the less fortunate in our communities. Our ultimate goal is to use 18 Wheels Of Christmas to stock every Food Bank in every community across the country at Christmas time! Though our collection efforts are centered around the Christmas season, much of what we collect in communities often lasts through the entire year. Every single item or dollar that we collect in a community stays in that community! Many people assume that a Food Bank is utilized by people who lack the ability or ambition to work or succeed in life. Nothing could be further from the truth. Throughout the country, there are many, many families who need Food Banks regularly. Many of these families have two parents working in low or minimum wage jobs and they struggle everyday just to pay the rent and utilities. At the end of the day, there is often not enough left for them to buy groceries for themselves and their children. These are the people that 18 Wheels is dedicated and committed to helping. Over the past thirteen years, we have refined and built upon this concept, but, to continue it's growth and success, we need the support of all Transportation Companies in Canada. Rosenau Transport Ltd. , a major Western Canada LTL and Full Load carrier spearheads this campaign, reaching out to our competitors, our friends, interline partners and all others including our suppliers in the transportation industry for help. We invite you to browse our site, read the news stories and check back with us often to read up on our successes and new partners. And of course, none of this would be possible without the generosity and support of the corporate and public donors who give so generously to this wonderful cause. We thank you for your heartfelt contributions of money and non-perishable food items. It is because of you, that many families across the country, have access to nutritious food, not just at Christmas but year round. 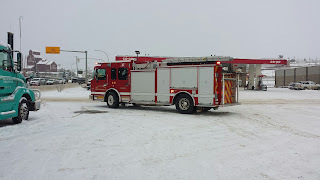 If you have any comments or questions regarding this blog, please contact Chris Richards at Rosenau Transport Dawson Creek or Sandra Bottorff at Rosenau Transport Edmonton. Chetwynd's First 18 Wheels Event! First, it is important to note that we are not a registered charity. We are simply providing the means for donations to get to the Food Banks. We are often asked what happens when a company or individual makes a financial contribution. 100% of every dollar donated goes to the Food Banks in the communities in which it was collected. Sometimes the donation is made in cash to the Food Bank. Other times, your financial donation is used to purchase essential items for the Food Banks such as baby food, diapers or other items that were not contributed. Every corporate donation is acknowledged both at the Food Banks and on this website. * There are no paid organizers or workers. Everyone's time is donated. * Our 18 Wheels trailers have been generously donated, decalled, decorated and maintained by our corporate sponsors. * The fuel we burn in our trucks during collection was provided by our companies. * Our advertising and promotion is provide by our sponsors or we utilize free media options such as this website. 18 Wheels of Christmas. Simple theme. Powered by Blogger.